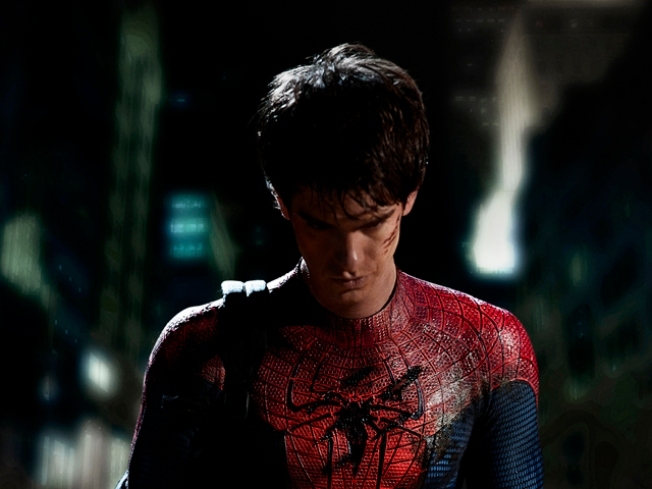 Columbia Pictures releases the first image of Andrew Garfield as Spider-Man. Speculation about Peter Parker's latest nemesis can finally be put to rest: it's Dr. Curt Connors, who tried to regrow an arm lost in the war and got more than he bargained for as The Lizard. "The Amazing Spider-Man" supporting actor C. Thomas Howell let slip the information during an interview with Retroradio. "I play a construction worker whose son is caught in the middle of a battle between The Lizard and Spider-Man on the Manhattan bridge," he said. According to Hollywood Reporter, it's been rumored for months that Welsh actor Rhys Ifans would play the villain, joining a young cast that includes up-and-comers Emma Stone and Andrew Garfield in the title role.